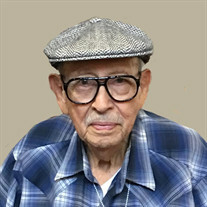 Ysidro Ramos 93 of Austin, Tx passed away Sunday February 25, 2018. He is predeceased by his wife Victoria Ramos, sons Joe Albert Ramos and Gabriel E. Ramos. The family of Ysidro Ramos created this Life Tributes page to make it easy to share your memories.